At Woodworking by deGrood we strive to provide quality, custom furniture and cabinets that are sure to last a life time. Our furniture utilizes only prime materials paired with detailed work. Custom made cabinetry is our passion, we strive provide the customer with a piece that they will cherish for a life time. The customer can customize their product, everything from the size to the finish. We easily create pieces that compliment the appeal of your home as well as provide durable functionality. Our pieces are made with quality materials with precise craftsmanship, a combination to ensure that you have purchased the finest made product. Simply put, you won’t find anything like what we create at a department store. We believe that quality is essential in a product. 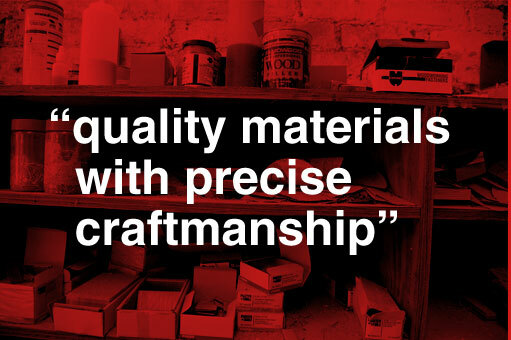 Not only quality with materials, but more importantly, the quality of work. We believe in establishing a relationship with our clients in order to make sure that the finished product matches their goals. We begin our process at the desk with a pencil and paper. Each piece is hand draw and designed, with note to detail, in order to provide a precise design. When the design is complete, we begin milling each piece in our shop. Each piece is crafted with precision and care with, the final product in mind and then assemble in shop, or go to location. By basing our company on the quality of our goods, we have been able to establish a hold on the market where few companies exist. The difference between them and us is the quality of the product, the attention to detail, and the relationships with our clients. If you want to learn more, or have any questions please visit our contact page and send us an email.